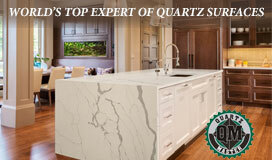 It doesn’t feel like it here in New Jersey, but it’s the first day of Spring! Spring is such a hopeful season, all that life-affirming renewal and greenery. We can’t wait to open up our windows and air the staleness out of our winterized homes. There’s nothing quite like that first warm day after a long winter. 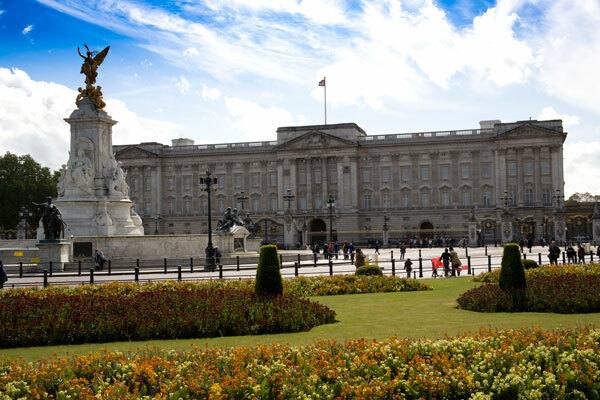 To remind us all of that feeling, here’s a look at some gorgeous outdoor spaces, some world famous for their springtime beauty, others not well known but no less lovely. 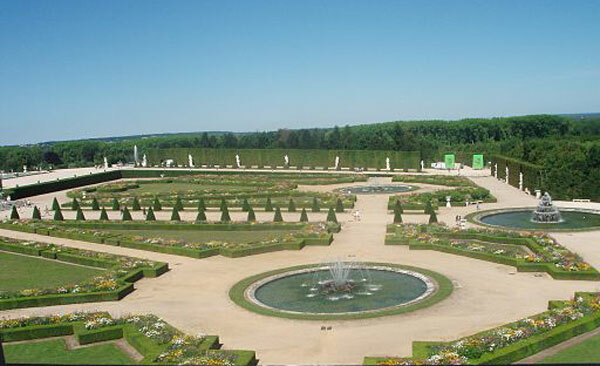 The gardens at the Palace of Versailles are a study in order and symmetry. 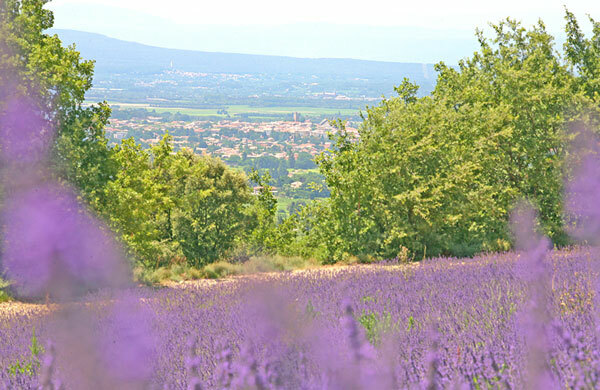 …Meanwhile, elsewhere in France, wild lavender does as it pleases. 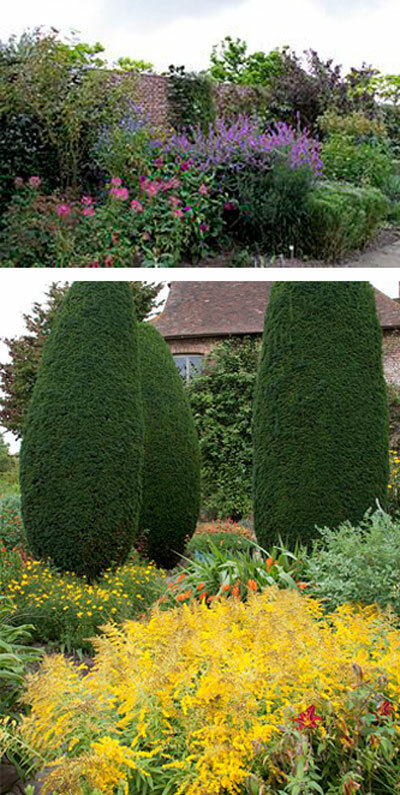 In England, uninhibited plantings at Sissinghurst Castle in Kent were meticulously planned by poet and gardening writer Vita Sackville-West. The Queen would not be amused. Grand gardens are gorgeous but we can’t discount smaller outdoor gardens which, of course, are ideal for non-castle abodes. 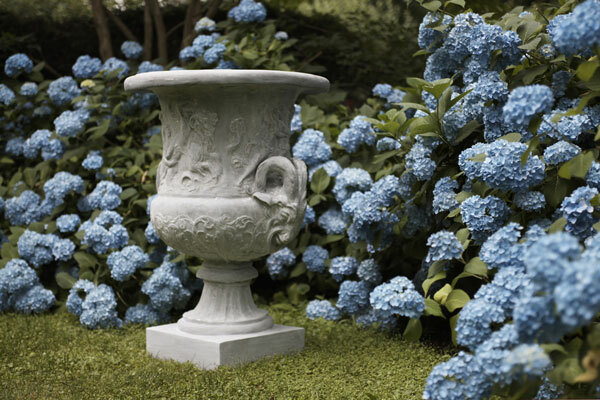 Here’s a delightful combination of wild plants and reserved statuary: a riot of hydrangeas provides a counterpoint to this subdued, stately garden ornament. 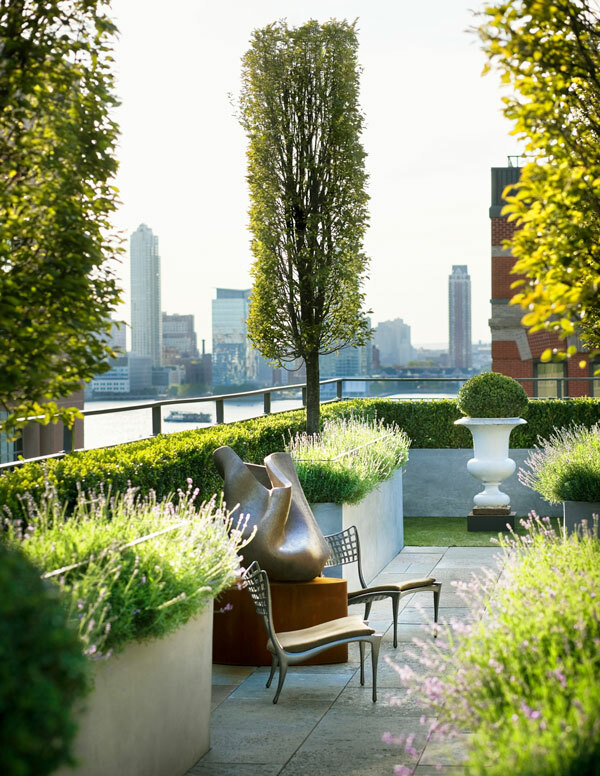 In an urban environment, container gardens make the best use of limited outdoor space. Photo courtesy of Pennoyer Newman. 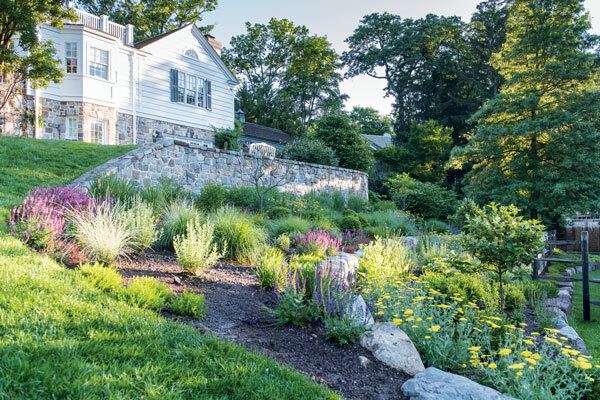 For gardens that are on a steep slope, a terraced approach works beautifully. That’s better! While it may still be sweater weather here in the Garden State, we’re looking forward to flowery things to come, because just the thought of greenery emerging from a barren landscape is a balm for our winter-weary souls.